AU Roofing’s aim is to be involved with your Extension development in advance of the planning stage to ensure complete engagement with start to finish Project Management for your piece of mind and successful project completion. AU Roofing will discuss with you all available options and clearly define the advantages of each to allow you to make an informed decision with regards to your extension. AU Roofing will also be there for you if your extension has begun but is not going to plan or another contractor has let you down. AU Roofing will assess the current project situation and clearly lay out for you the best course of action to ensure your extension is completed to the standards you expect. Initial consultation – First meeting with AU Roofing representative to meet with you and help us to understand your requirements, expectations and budget. Planning Meeting – Review the options available to you defined by AU Roofing and plan the next steps of your project and timescales. The architectural planning will be organised as a priority after this meeting. Demolition and Excavation – The project will commence with the demolition of any existing structure and laying the foundations/groundwork for your exciting new extension. Preliminary works – Any required drainage systems, insulation and early floor slabs will be completed at this stage in advance of the commencement of structural work. Brick works – Brick and block work will advance following completion of essential preliminary works. External Fix – UPVC and timber fascias, soffits, cladding systems will be fitted here together with any guttering and roof coverings required. Internal Fix – Electricals, plumbing, carpentry and all internal decoration will be completed or arranged by AU Roofing to ensure completion to your specification. 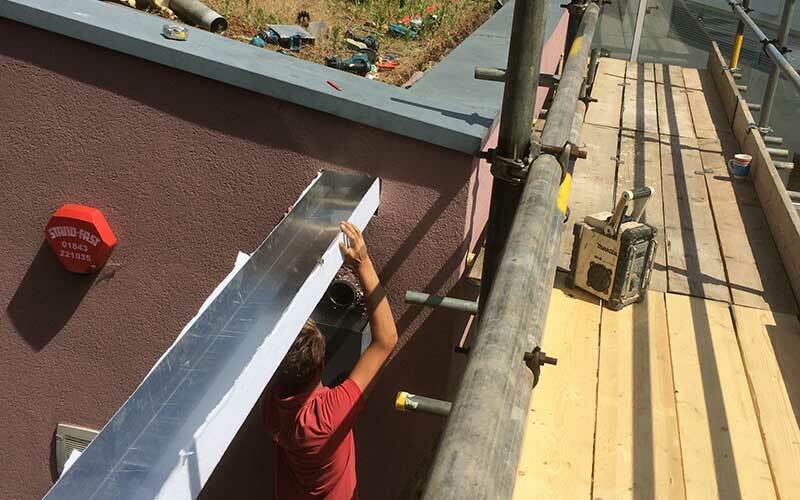 Final Installation – If a bathroom or kitchen requires installation as part of your extension project, this will be project managed by AU Roofing as the final stage before project sign off.